Looking for the ideal solution to restore your material? Soda blasting media is one of the safest and most cost-effective ways to strip your restoration project back to bare metal ready for bodywork and paint. 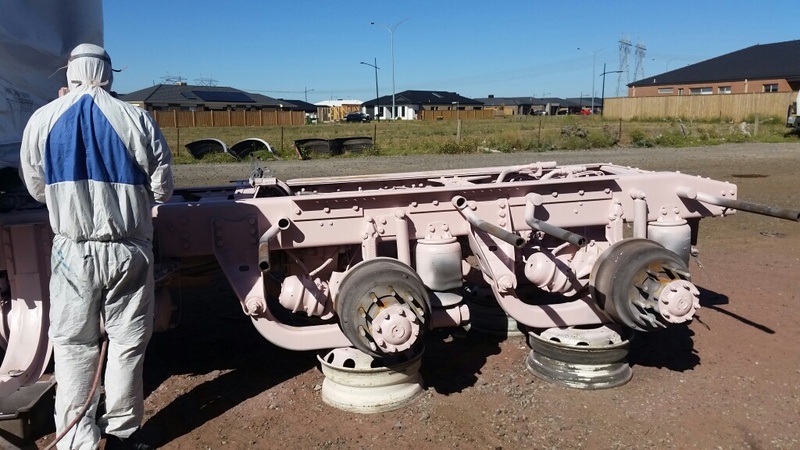 Avoid the messy chemicals, paint strippers and save yourself hours of work stripping wheels with ProStrip Sandblasting’s soda blasting services in Melbourne. At ProStrip Sandblasting, we understand that stripping and restoring surfaces is one of the more tedious aspects of renovating. The worst part is that it often takes hours of time an inferior result. Our soda blasting system is applied at roughly 1/6 the pressure of traditional blasting techniques, causing minimal damage. And, it’s quick! Our soda blasting equipment is also perfect for removing exterior paint removal to expose brick and stone underneath, as well as a concrete sandblasting technique used to strip driveways or add texture to concrete; breaking up large neutral spaces. Why Use Soda Blasting in Domestic Renovation? Soda blasting is an ideal solution for domestic and residential blasting due to the small environmental impact of materials used. Soda Blasting uses bicarbonate of soda (baking soda) as form a blasting media, which is also chemical-free and does not react to the chemicals of home surfaces. When working in confined spaces or when there is a likelihood of materials impacting the local environment, using soda blasting for the restoration of your home provides an eco-friendly and cost-effective solution to housing renovation needs. You can drop parts, full vehicles, or even your boat into our headquarters just 10 minutes from Melbourne airport where we have a full low abrasive soda blasting setup for automotive abrasive sandblasting. Our team has over a decade of experience restoring auto and marine parts, classic and collector cars, engines, and panels back to the mint condition ready for final coats and final restoration. We can also strip back sensitive wooden furniture and delicate surfaces that require a fine finish but won’t stand up to the rigours of traditional abrasive blasting techniques.